into the overall rehabilitation programme. classiﬁcations of apraxia are described in the literature, but there is not one accepted taxonomy. quantitative and qualitative scoring methods. provided some insight into praxis performance. function lead to problems in everyday functioning. predict the evolution of this form of apraxia. 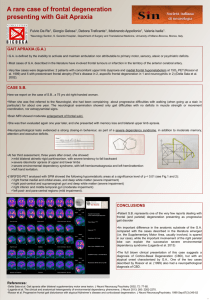 left-hemispheric patients showed more improvement than the right-hemispheric group. with the level of dependency after discharge. may be the most effective treatment model. concept of plasticity within the neural substrate. interventions should focus on teaching new strategies. Some practical guidelines are offered as well. 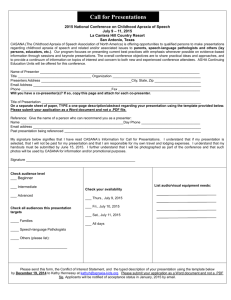 verbalization of an occupational therapist. Selfhelp skills improved as a result of this approach. systems, such as speech, vision, and touch. change was predicted in the severity of apraxia. despite the lasting presence of apraxia. without apraxia, and ﬁve control patients. during which participants performed other tasks. difﬁculties learning new ADL techniques. gestural performance under daily-life conditions? 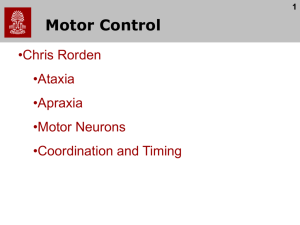 was on sensorimotor impairments and disabilities. and allocate health care services efﬁciently. 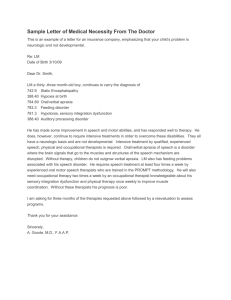 for refraining from treating apraxia. strategies may be the most effective approach. effects are to non-trained activities and situations. of daily living in patients with apraxia. Neuropsychol Rehab 1998; 8: 123–41. AJ van, Stehmann-Saris JC, Kinebanian A.
of action. Hove: Psychology Press, 1997. Cicerone KD, Dahlber C, Kalmar K et al. Med Rehab 2000; 81: 1596–615. De Renzi E. Apraxia. In: Boller F, Grafman J eds. 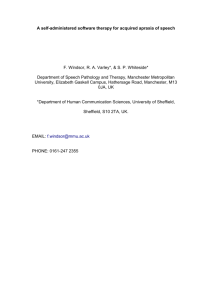 Handbook of Neuropsychology, Volume 2. Amsterdam: Elseviers Science Publishers, 1989.
nursing homes. Clin Rehab 2000; 14: 130–36. 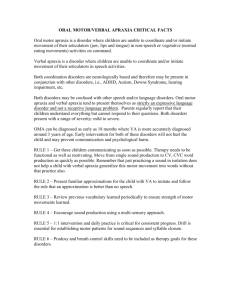 Miller N. Dyspraxia and its management. 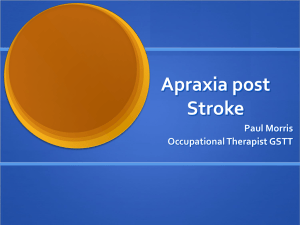 apraxia. Arch Neurol 1980; 37: 6–18. internal consistency and inter-observer reliability. Occup Ther J Res 1999; 19: 55–74. 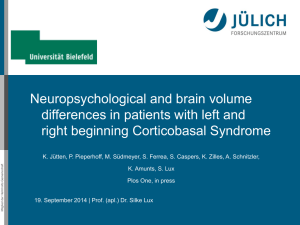 van AJ, Stehmann-Saris JC, Kinebanian A.
Exp Neuropsychol 1988; 10: 363–79. 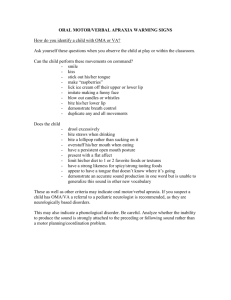 36 Jackson T. Dyspraxia: guidelines for intervention. Br J Occup Ther 1999; 62: 321–26. anaesthetic accident. In: West J, Spinks P eds. 38 Maher LM, Rothi LJG, Greenwald ML. Treatment of gesture impairment: a single case. ASHA 1991; 33 : 195. 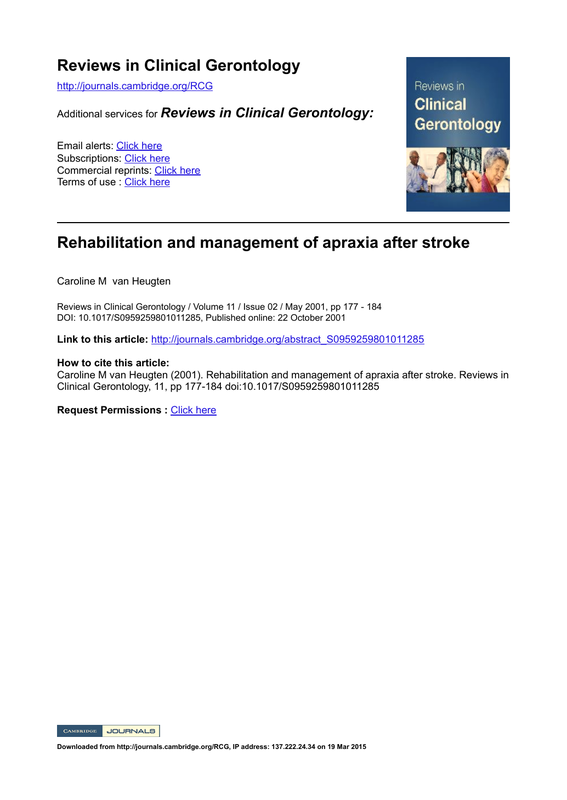 Management of apraxic gait in a stroke patient. Arch Phys Med Rehabil 1992; 73: 95–57. 43 Bergego C, Bradat-Diehi P, Taillefer C, Migeot H.
des objets. In : El Gall D, Aubin G eds. L’apraxie. 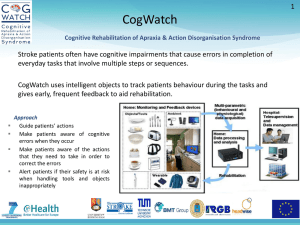 a case study of ideomotor and ideational apraxia. Br J Occupat Ther 1997; 60: 491–97. Med Rehab 2000: 81; 379–88.